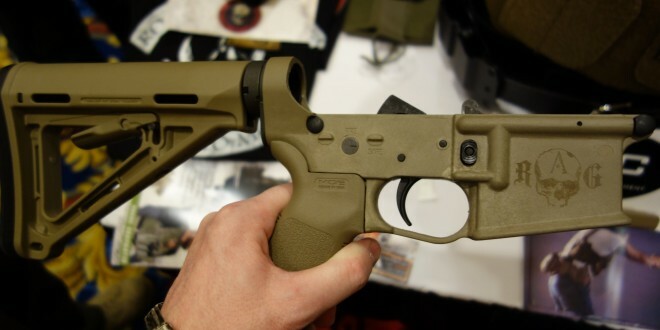 Tennessee Arms Company TAC Gen IV Hybrid Polymer/Metal AR-15 Lower Receiver(s) with Marine-Grade Brass Reinforcement Inserts for Ultra-Light and Super-Strong Tactical AR Carbine/SBR’s at Lower Build Cost (Video!) | DefenseReview.com (DR): An online tactical technology and military defense technology magazine with particular focus on the latest and greatest tactical firearms news (tactical gun news), tactical gear news and tactical shooting news. 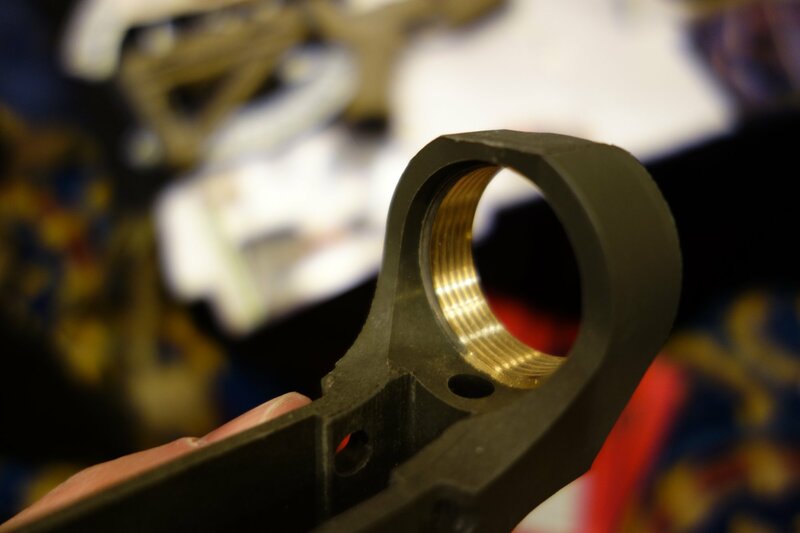 A company called Tennessee Arms Company (TAC) has developed a very interesting injection-molded high-impact polymer AR-15 rifle/carbine/SBR (Short Barreled Rifle) receiver called the TAC Gen IV Hybrid Receiver that’s reinforced with marine-grade brass reinforcement inserts in stress points, the most visible one being the buffer tube hole. The polymer used to make it comes out of the automotive industry. Specifically, it’s used for bushings, and it’s a high-strength, flexible polymer with a high degree of crush endurance. DefenseReview (DR) ran into TAC Sales Manager Dave Roberts by chance while we were at the Rogue Gunfighter (RG) booth looking at the RG MOAB lo-pro plate carrier. While the TAC Gen IV Hybrid Receiver only weighs 5.6 ounces (5.6 oz. ), don’t let it’s light weight fool you. “You can run over ’em with cars, we’ve blown ’em up…” says Roberts, talking about testing them and how they hold up. 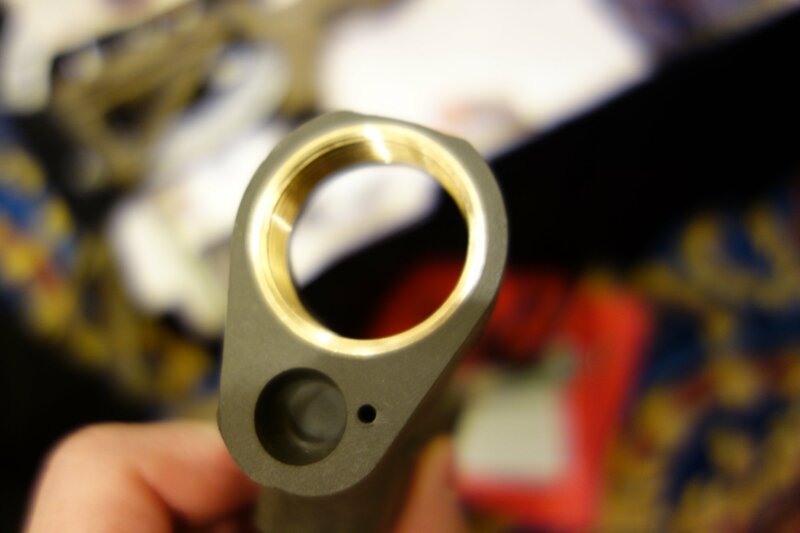 Super-strength aside, the lower looks pretty good aesthetically, and is inexpensive: $45.00 USD for a Black lower, $55.00 USD for any other color like Flat Dark Earth (FDE), O.D. Green (ODG) or Foliage Green. 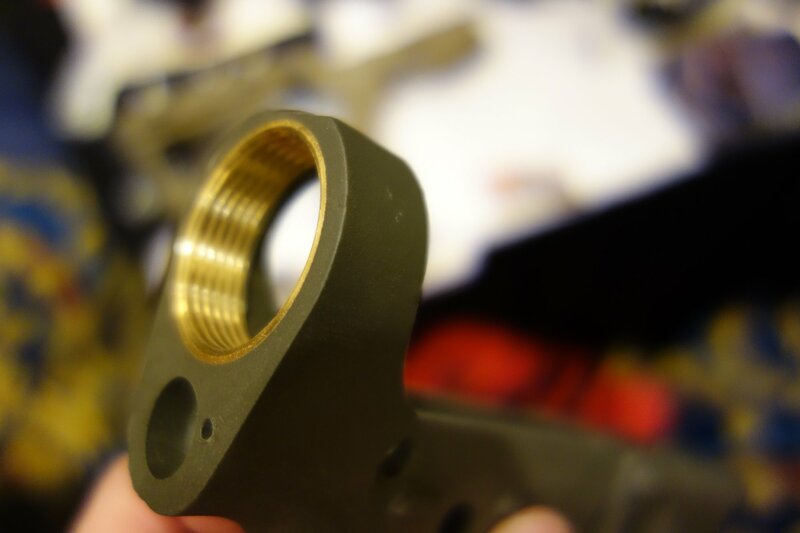 A complete lower receiver build with MILSPEC parts/components runs $175.00 USD. If you want a complete lower outfitted with premium aftermarket parts/components, you’re looking at $248.00 USD. 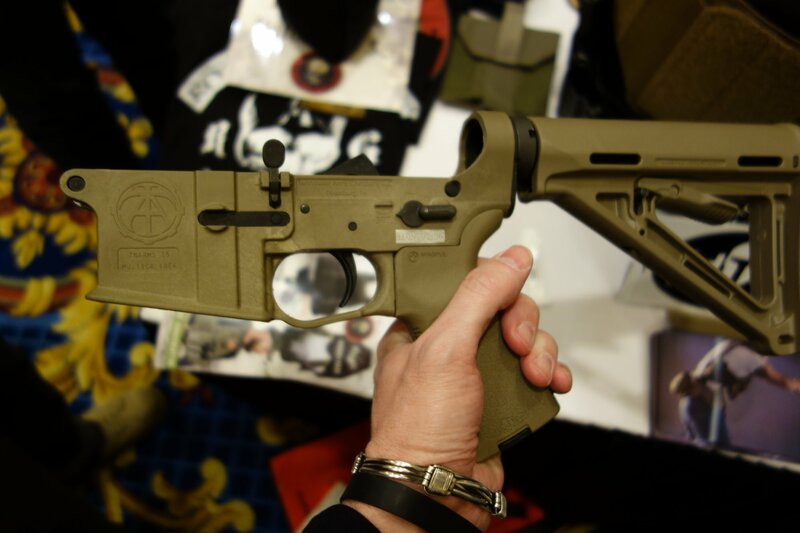 The Tennessee Arms Company TAC Gen IV Hybrid Polymer/Metal AR Lower Receiver is a welcome new option for tactical AR carbine/SBR builds, and DR is looking forward to doing one or two gun builds with TAC Hybrid Lowers and running them at the range (at high round count), at some point. 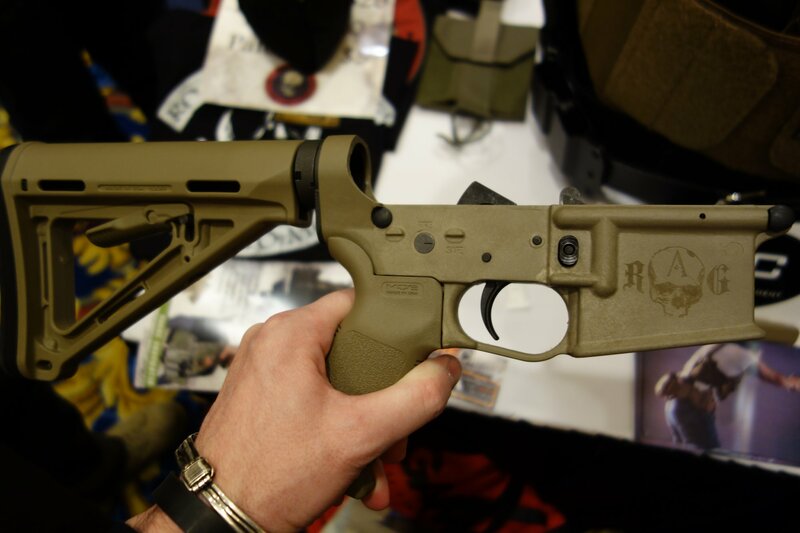 Notice the enhanced/enlarged trigger guard and custom skull logo on the right side of the FDE-colored receiver in the photos and embedded video, by the way. © Copyright 2014 DefenseReview.com. All rights reserved. This content/material may not be republished, broadcast, rewritten or redistributed without first receiving permission and providing proper credit and appropriate links. MAG Tactical Systems Gen-4 Ultralite Ultra-Lightweight AR-15 Rifle/Carbine/SBR Lower Receiver (and Upper Receiver): 35% Lighter than MILSPEC 5.56mm AR Receivers!